Digital marketing methods have grown and become ever more dominant over the past 5-10 years. As well as website and email marketing, mobile marketing has become increasingly important, together with social media channels. But now key industry trend spotters are saying that we might be about to see a boom in “post-digital” marketing. This means using digital channels together with traditional media and methods to provide a complete, integrated marketing service. So why is this happening and what does it all mean? 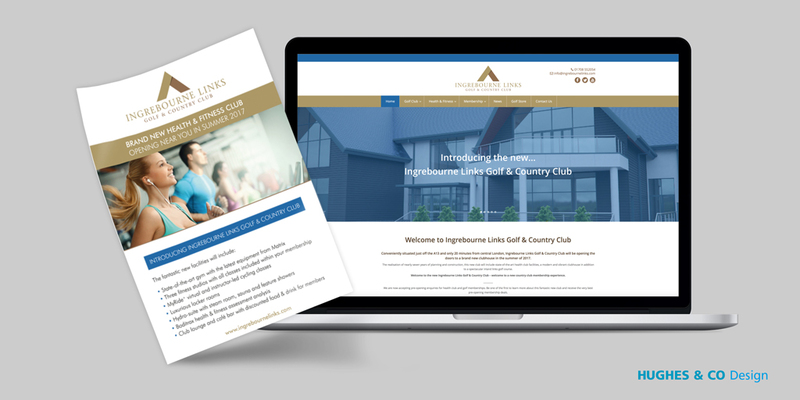 As an integrated marketing agency, Hughes & Co Design are highly experienced in the use of both digital and print media. Here we explore what this latest trend is likely to involve. When companies first started to use digital media as a way of getting marketing messages across, it was typically regarded as an add-on. So a large company might have a main marketing department alongside a smaller digital marketing section, perhaps with one or two members of staff. The two sections would operate separate campaigns. Increasingly, however, this way of operating has become out of date, as the initial rush to digital has matured. Today, high-tech channels are regarded as business as usual for many companies. Having an ecommerce website is now as essential as getting a good business card design. As a result of this change in focus, instead of two marketing departments many organisations are joining them up into one, with campaigns working across different media, ranging from newspapers and magazines to websites and social networking platforms. Marketers’ attention is now on using these channels together to explore what works, looking at what is effective with different customers and which methods are likely to deliver the best results for clients. Today’s customers use a whole range of different platforms, with mobiles and tablets taking an increasingly important role. Often people visit websites and social media several times on different devices before finally deciding to buy. At the same time as embracing digital media, they also use traditional media, such as flyers sent in the post or print advertising in magazines and newspapers. Traditional marketing can often reach customers and achieve results that digital cannot. For instance, there is evidence that direct mail by post is still more likely to be read than marketing emails. However, rather than looking at these different methods as competing, the “post-digital” way forward is to take advantage of the ways in which print and digital marketing can complement each other. For instance, prospective customers at a trade fair or event will typically pick up printed items, from business cards to bags or ballpoints, and carry them away. But these items will also carry a web address and social media handles, designed to enable a future online relationship. When first contemplating a purchase, it’s also often more relaxing to sit and look through a printed catalogue or magazine than to search for items on a website. However, you may go on to use a website after identifying items you want to find out about in more detail. Looking at a product on the web often gives an opportunity to see product reviews and answer any questions. Customer focus is key to the structuring of campaigns in these different areas. Marketers need to look at how best to reach and engage customers, and often a mix of media is the best way to achieve this. Despite the term “post-digital”, in practice many companies still need to do more to develop their digital capacity, for instance, by making websites mobile-friendly or stepping up social media campaigns. At Hughes we started out as a print design agency and moved with the times to also become a digital marketing agency – but we never left print and other traditional media behind. So, if you’re looking for the new cutting edge in marketing and design, it is best to look not for a company which specialises only in digital, but for an integrated design agency with expertise in both print and digital, who knows how to deliver integrated campaigns, using the best of print and the best of digital to reach your specific customer base. For more details on how Hughes & Co Design can work with you to create integrated marketing campaigns, follow the link.